Better longevity and increasing rates of myocardial revascularization have resulted in higher rates of secondary revascularization procedures. This phenomenon is particularly pertinent to surgically revascularized patients due to the common occurrence of graft failure and progression of native vessel disease. Secondary revascularization procedures have a higher degree of complexity and higher procedural risks due to the presence of diffuse stenosis and chronic total occlusions, as well as the association with many comorbidities, such as diabetes, chronic renal failure, and peripheral arterial disease. 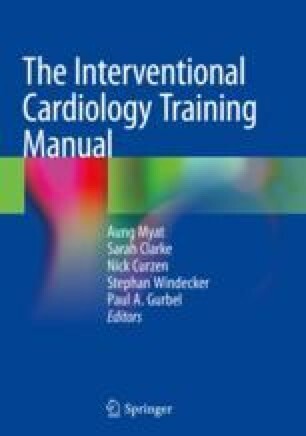 In this chapter we will address the decision-making process in repeat revascularization procedures, underlining the importance of the Heart Team; and will describe the particularities and the evidence regarding percutaneous treatment of saphenous vein grafts, arterial grafts, and native arteries in patients with previous revascularization surgery.